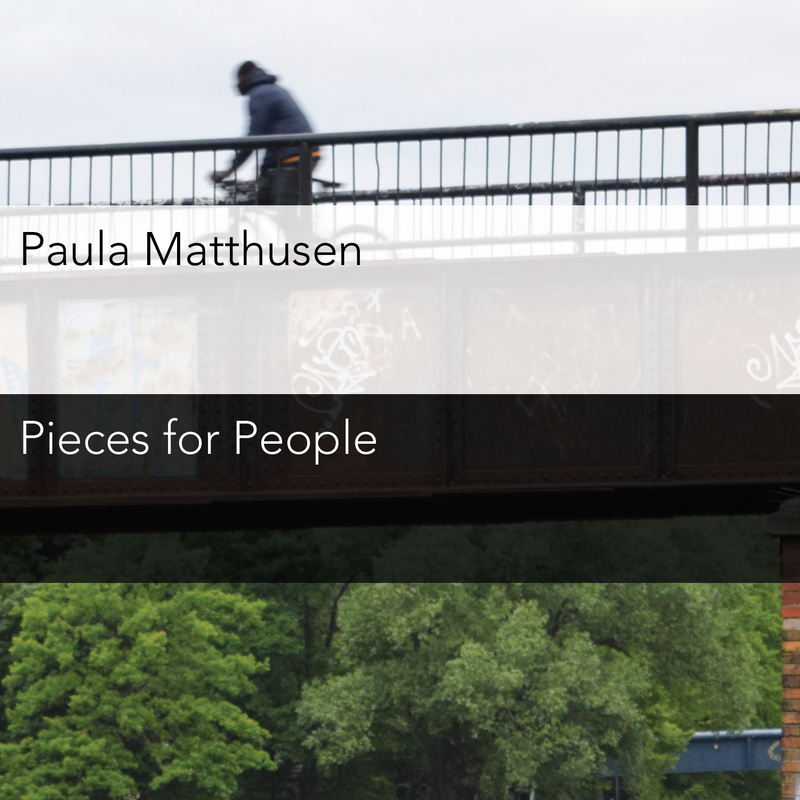 Although there’s something romantic about the notion of the composer slaving away in the isolated attic, accompanied only by her muse and the flickering light of a waning candle, the truth is that collaboration drives creativity, and composer Paula Matthusen’s Pieces for People celebrates that process. Reflecting a decade’s worth of work with friends and ensembles whom Matthusen admires, the record places performers inside of electronic soundworlds: album opener “sparrows in supermarkets” takes its inspiration from a family of sparrows in a local grocery store, with Terrie Hron’s recorder conversing with drones and repetitive textures; album closer “in absentia” harnesses the talents of violinist Todd Reynolds and pianist Yvonne Troxler to explore ideas about memory through repetition and erasure alongside a bed of miniature electronics. In between we hear works featuring banjo (James Moore), organ (Wil Smith), and larger ensembles (Mantra Percussion and orkest de ereprijs) that seem to explore friendships as much as soundworlds. Expansive and atmospheric, but also melodic and thematic, Pieces for People finds humanity in collaboration and explores the construction of a community through its processes. Paula Matthusen is a composer who writes both electroacoustic and acoustic music and realizes sound installations. Awards include the Walter Hinrichsen Award from the American Academy of Arts and Letters, a Fulbright Grant, two ASCAP Morton Gould Young Composers Awards, and recently the 2014 Elliott Carter Rome Prize. Matthusen is currently Assistant Professor of Music at Wesleyan University, where she teaches experimental music, composition, and music technology.